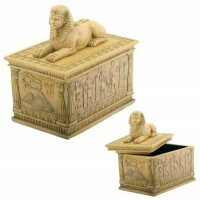 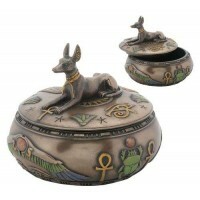 This tiny little trinket box is just 3 1/8 inches tall with a lift off lid of a reclining Anubis. 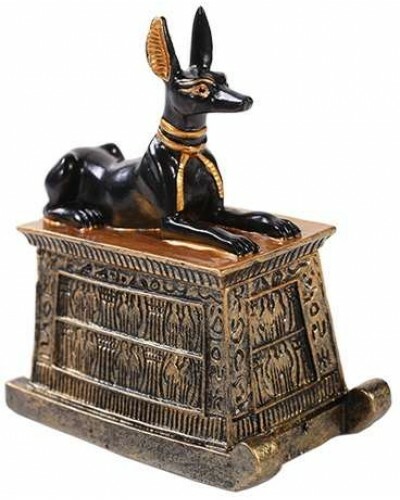 In black cold cast resin with hand painted gold detail, it has Egyptian motifs on all sides of this tapered box with Anubis topped lift off lid. 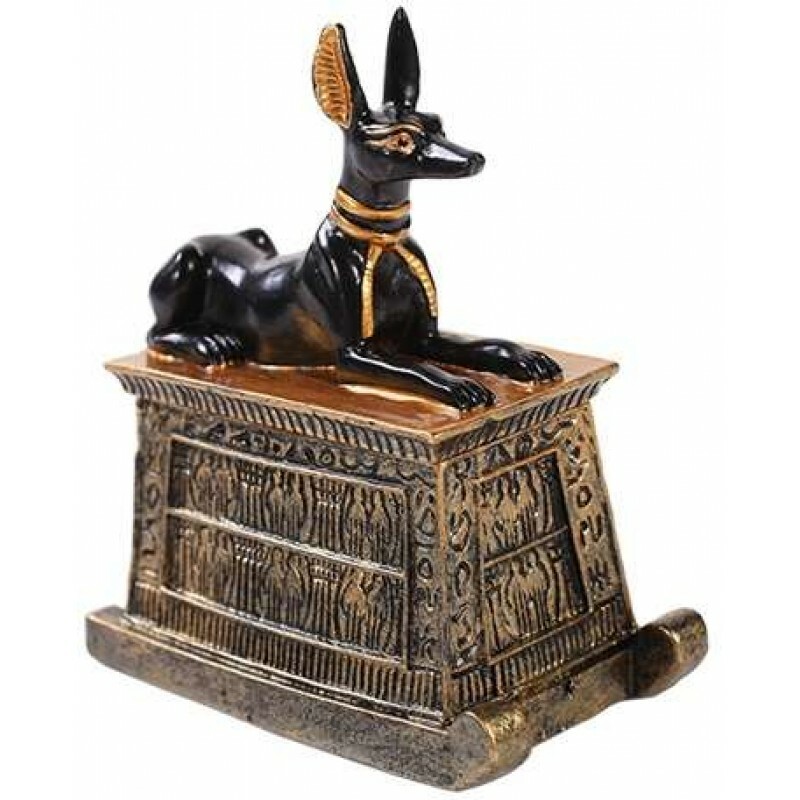 3 1/8 inches high. Item Number: PT-10853 | Approximate Size (Inches): 2.75 wide x 1.50 deep x 3.18 high | Approximate Shipping Weight: 0.50 lbs.